No wonder, then, that the latest season ended with the promise of a more streamlined refresh. 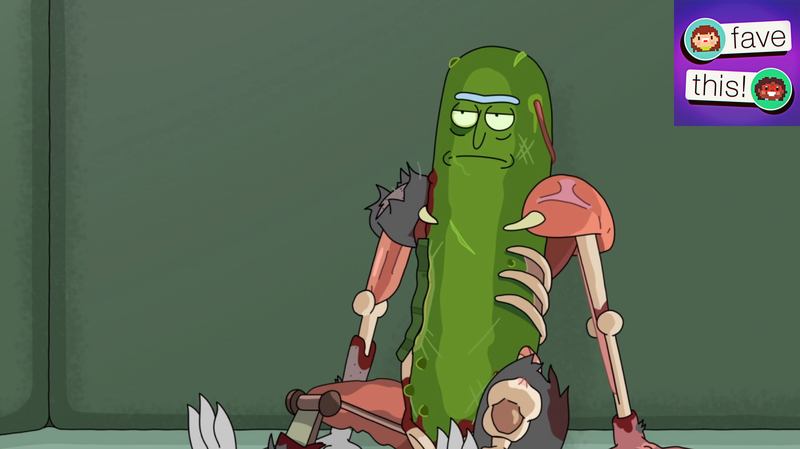 There just wasn’t any place for Rick and Morty to go. In the latest episode of the Favecast, embedded above, Gita Jackson and I take a look at season three of Rick and Morty, the stigma the show has accrued on the internet, why people glorify Rick even though he’s a horrible guy, how the show falters in its central message, and how other comedy shows deal with nihilism and other depressing topics in an effective way. If you watch things like BoJack Horseman, The Good Place, or You’re The Worst, you’re going to enjoy this episode of the podcast—but you should probably be caught up on Rick and Morty before listening! Later on, we talk about in-game events and games that make us cry around the 48 minute mark. We’re on iTunes here (leave us a review! ), Google Play, Spotify, Sticher, and iHeartRadio. Send us some reader mail with questions or topic suggestions at favethis@kotaku.com, or tweet at us with the hashtag #favethis.